iSpring Solutions, a leading eLearning software vendor, presents brand-new enhancements to the iSpring Suite authoring tool. The update equips iSpring Suite’s video studio with new options for creating and post-processing professional video courses. Make slow/fast-motion videos. With the updated iSpring Suite, course creators can slow down a video to help their audience focus on key highlights and better retain an intricate topic, for example, corporate software training. Also, the toolkit allows you to speed up a video tutorial to quickly walk viewers through a process the learners have to master. Add freeze frames. To explain complex things to the audience, eLearning developers can now use freeze frames to achieve a video pausing effect. That way, you can emphasize key material and provide learners with a deeper explanation via voice-over, animations, or text insets. Split video and audio tracks. Now, it is possible to replace a poor-quality narration in an existing video while leaving the video intact. The video studio also allows you to trim an unwanted audio fragment, apply audio effects, and remove noise. The new iSpring Suite update makes video course production a snap and helps eLearning developers stop compromising between speed and quality. iSpring Suite is a robust authoring toolkit for creating mobile-ready interactive courses, interactions, quizzes, dialog simulations, video-based courses, and software tutorials in record time. 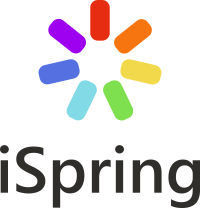 iSpring Suite 9.7 is available for download at the iSpring Solutions website. The price of iSpring Suite is $770. Existing customers can upgrade with a discount. iSpring offers its products at special prices for academic institutions, nonprofit organizations, and government agencies and employees. Detailed pricing can be found at the iSpring website. iSpring is a global leader in creating award-winning software for eLearning. Since 2001, iSpring Solutions, Inc. has helped thousands of businesses worldwide to advance their corporate training and spread best business practices. iSpring is recognized for its beautifully engineered products and exceptional service. More than 53,000 customers from 155 countries choose iSpring for its reliability and high performance. The customer list includes 148 of the Fortune 500 companies, government agencies, and educational institutions worldwide: Google, Sony, Amazon, Boeing, Dell, Nike, United Airlines, Starbucks, Booking.com, and MIT, Stanford, Harvard and Berkeley Universities. The new iSpring Suite update makes video course production a snap, and helps eLearning developers stop compromising between speed and quality.